If you have been convicted of a crime you may be able to get that offense expunged from your record. We have helped many clients expunge crimes from there record and get the help they need in getting a new start on there life. All cases are different and you need to speak with us regarding the specifics of your case. One thing that is a misconception about expungements is that they will dissapear from your record. This is not exactly true. Although there is new legislation in this area in regards to Juveniles making your record dissapear is difficult. What an expungement will do is show as an update on your record. What this means is that the offense will show on a livescan or on a record check as an expunged crime. This is different from sealing or destroying your records as is happening under many sealed or destroyed petitions in Juvenile Court. Please read my blogs on thos subject. WHO IS ELGIBLE FOR AN EXPUNGEMENT? If you are charged with certain Misdemeanor or even Felonies you can petition the court for an expungement, or ask for an early termination of probation and expungement at the same time. See my article on early termination of probation and expungements. and a few other factors will be taken into consideration by the court. The court will then either grant or deny the request. Sometimes the court will deny but give a future date to return and get the expungement done. The court will sign an order and the order will be sent to the Calirornia Department of Justice and an update will be entered into your clets or criminal history showing the expungement. Also, you will have a copy of your minute order that will show the expungement. WHAT IS THE EFFEC OF THE EXPUNGEMENT? The effect of the expungement means that private employers cannot use that conviction as a basis for denial of employment. However, for state licensing purposes for jobs that require licensing such as nurses, doctors, lawyers, etc. they can ask for this information. And for jobs in any area considered a peace officer position, including local and state corrections and working as a juvenile corrections officer. If you have any further questions regarding expungements do not hesitate to call our office and we can help you. 559 441-1418. In this article I will be taking a break from some of my earlier articles on Homicide and Homicide Defenses. 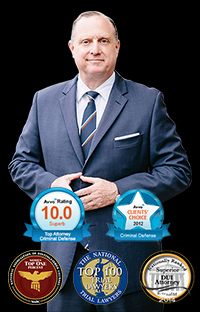 I will discuss the various ways in which a Criminal Attorney can asist you and when you should immediately seek the services of a Criminal Attorney. If you are being investigated for a crime it is imperative that you get an Attorney to help explain to you your legal rights. Many people think that if they are not yet charged with a crime they are fine and do not need legal asistance, I have even heard Attorneys say this. That advice should be discarded. When the District Attorney reviews a case they have a very limited amount of information on which to base there decision regardin whether or not to file charges. Almost all of that information comes from Law Enforcement. It would help if you could start your own investigation and get that information to the police and to the District Attorneys office as soon as possible. If you make statements to any Law Enforcement officers those statements can and will be used against you. I have heard clients ask me if it is ok to talk to the police before they are charged with a crime. Many think that talking to the police at this stage is harmless. This is very wrong. The police will usually interview you in a out of custody environment, this means they do not have to read you your rights and they will tape the converstion. You are now stuck with that statement and you cannot change it. Therefore, these statements usually taken in a non custodial setting will be used against you. And almost never have I ever seen a statement help a person accused of a crime. I say almost never because ther are as with anything exceptions to this rule. This should seem obvious but sometimes is not. The police will attempt to interrogate you immediately after you arrest. You should immediately invoke your rights. You should do this in an unequivacal manner so that there is no doubt as to exactly what you are doing. In other words say I am not talking to you without an Attorney and then get an Attorney. At this point nothing you say will un arrest you. You shold then call an Attorney and explain your legal problem and make a choice as to the Attorney that you want. As a former probation officer, deputy district attorney, adunct criminology instructor and defense attorney for more than 14 years with acquitals in more than 5 different counties I know the ins and outs of they system. If you have any further questions do not hesitate to call 559 441 1418. If you or a loved one has been charged with a Homicide crime wether first degree murder, second degree murder, or manslaughter or any of the other crimes of Homicide you need experienced counsel as soon as possible. As a former probation officer, deputy district attorney, adjunct criminology instructor, and an experienced trial attorney with more than 50 felony trials and 14 years of trial attorney experience, and having handles close to 50 Homicide cases I have the experience to get you or your loved one through this. Look in the in the news portion of my website for some of the cases that have been handled here locally and all over the state. Many with good results including not guilyt of first degre murder and lesser charges or not being held as an adult. Homicde is a complex area of the law that I have been handling in several different blogs over the last several weeks. In its most basic form Homicide is the unlawful killing of a human being with Malice of forethought. Again, I have gone through these elements at lengthy in other articles you can read those to catch up on some of the specifics and what the defenses are to Homicide cases. So before you answer questionf from Law Enforcement you should seek legal counsel. This is even before charges are brought against you and before you are charged. The Detective will be working from the beggining to establish your means motive and oppurtunity to have committed the crime. Anything you say can and will be used against you. Therefore, you should get an experienced Attorney and get and evaluation of your specific rights before making any statements. If you have been arrested or charged with Felony Domestic Violence you should call our office immediately. You may have defenses to the crime and defenitely need the assistance of an experienced Attorney to help you throgh this time. As a Former Probation Officer, Deputy District Attorney, And Adjunct Criminology Instructor, and a Criminal Defense Attorney with more than 14 years experience I can get you through this. I will go through some of the elements of Felony Domestic Violence below and then in some other blogs I have discussed the defense to this crime and the crime of Misdemeanor domestic violence. 3. Corporal injury resulted in a traumatic condition. As you can see from above this an extensive definition meant to encompass as many people as possible for all the different arrangements that people have today. These are the elements of Domestic Violence as you can tell they are extensive and can be complicated. That is why you need to get experienced counsel as soon as possible. After domestic violence arrest the police and prosecutors will often try everything from pretext phone calls ie phone calls meant to get you to say things that are incriminating to looking over any text messages etc. So it is imperative that you seek legal counsel and protect your rights as soon as possible. In this blog I will take a break from my series on Homicide cases to discuss the defense of Domestic Violence cases. If you or a loved one has been accused of Domestic Violence you can give us a call as soon as possible. We can help you get through this as I have for many hundreds of other clients over more than 14 years of Criminal Law work. As a former probation officer, deputy district attorney, and adjunct criminology instructor I have the know how to help you through this. The crime of domestic violence can be charged either as a Misdemeanor or a Felony. The Misdemeanor crime has the following elements. 2. At the time of the Battery, Victim was the defendant's spouse or fiance, or an individual with whom defendant currently has, or has had a dating relationship. The following are not meant to be an exhaustive list only a brief overview of some of the defenses to domestic violence. We have seen sadly many times where the accusation is simply made up where the police are called in the middle of a heated discussion something is said and someone goes to jail believe it or not with no evidence other than an accusation. One thing you have to do at the beggining of a case is get any witness statements other calls for service, etc. to show what has really happened. Many times we have found that the person arrested was defending themselves when they are arrested. Sometimes they will even have wounds on themselves much worse than the person who was not arrested we once had a case where the husband was arrested with obvious defense wounds on his hands. We had to have a medical doctor look over the wounds which he indicated were very obvioulsy defensive wounds. 1. Defendant willfully inflicted corporal injury upon a spouse. The defenses to Felony Domestic Violence are much the same as the defenses to Misdemeanor Domestic Violence. There could be a false accusation, there could be a self defense situation, or just plain lack of evidence. The District Attorney will evaluate the case in between the arrest and the filing of charges to look at the above mentionend factors looking at body cam evidence from the officer that responded looking at the 911 call photos, extent of injuries, priors, willingness of the victim, etc. If there is a victim that is not cooperative and there is not a 911 call, or a body cam, then there could be problems with the prosecution bringing the case altough I have seen instances where even under these circumstances charges were still brought and cases filed. Sometimes the cases will be dismissed at a later time sometimes they are not depending on a lot of circumstances. All cases are individual and if you have questions about your particular set of circumstances you should call. In continuing with my series of blogs related to the crime of Homicide I will be discusssing the crime of Second Degree Murder. I will briefly discusss the defenses to second degree murder; however, I will be doing a more extensive discussion of the defenses in a different blog post. Penal code section 189 states: All Murders which are not first degree murders are second degree murders. Second Degree Murder is the unlawful killing of a human being without the additional elements necessary for first degree murder. Such as deliberation and premediitation or one of the statutory provions for first degree murder such as torture, etc. First intentional killing with no premeditation or deliberation. Malice is express when there is a deliberate intention to take away a life. once intent if proven malice is established. Malice is implied when no significant provocation occurs or when the circumstances attending the killing show an abondoned and malignent heart. You can think of this as a two part analysis. 2. And the person acted with knowlege of the of its danger and acted with conscious disregard for that danger. The conduct committed by the person must be sufficiently dangerous to human life.